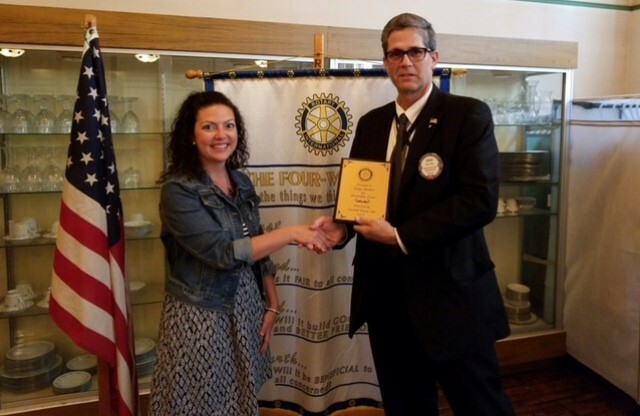 CLEARFIELD – Tangi Borden was recently congratulated by President Shon Kuta of the Clearfield Rotary Club for being named this year’s recipient of the club’s Outstanding Citizen Award. Borden is from the Clearfield Area Junior-Senior High School, where she teaches English and speech. She is also annually in charge of the Four Way Speech Contest. Thank you to Mrs. Borden for everything she does inside and outside our school walls!